What do you mean I already am! 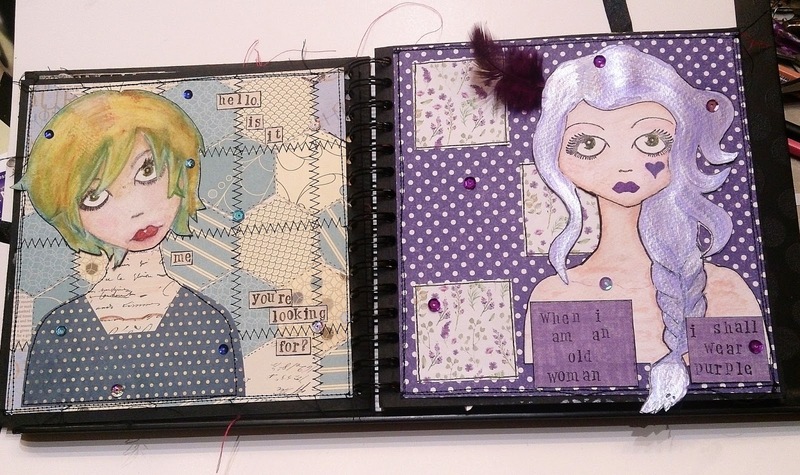 Paperbabe have a picture inspiration for their latest challenge, and this is what I've made. And this is the photo inspiration. As soon as I saw the photo I was reminded of this poem which is one of my favourites. I once had my hair dyed purple, but I've never learned to spit lol. Anyway I shall never be old because I just keep on moving the goal posts at what old is - saying that the old bird in the mirror is getting on a bit! This is how she looks next to my other Paperbabe lady in my journal. 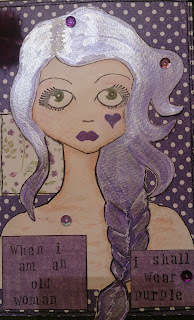 I've used the same templates and doll face stamps, and her hair has been painted in Colourcraft Lustre paints. She's fabulous Sue, I love the shimmer in her hair. 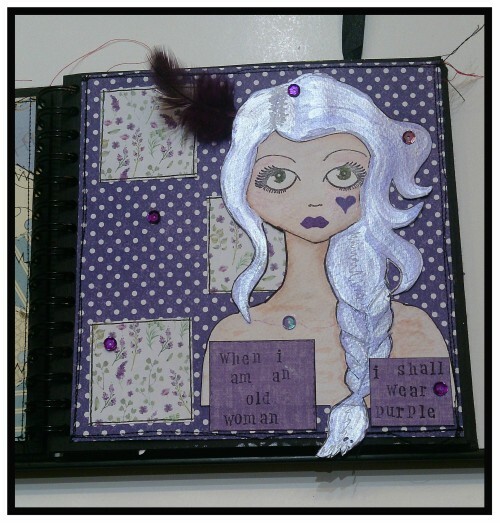 I'm so glad to see you have joined us again over on the Paperbabe challenge and shared your sweet creation with us. 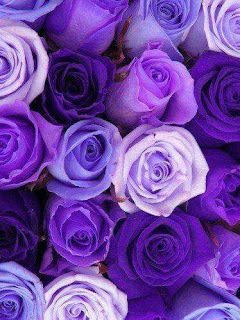 It always brings a smile to my face that poem, I'm sure it will be a long long time before you buy a red hat to go with that purple hee hee!! Can It Be Christmas Already!